I recently upgraded to MacOS Mojave. There was actually more to the error but these were the two key things I saved. So easy. We got lucky on this one. 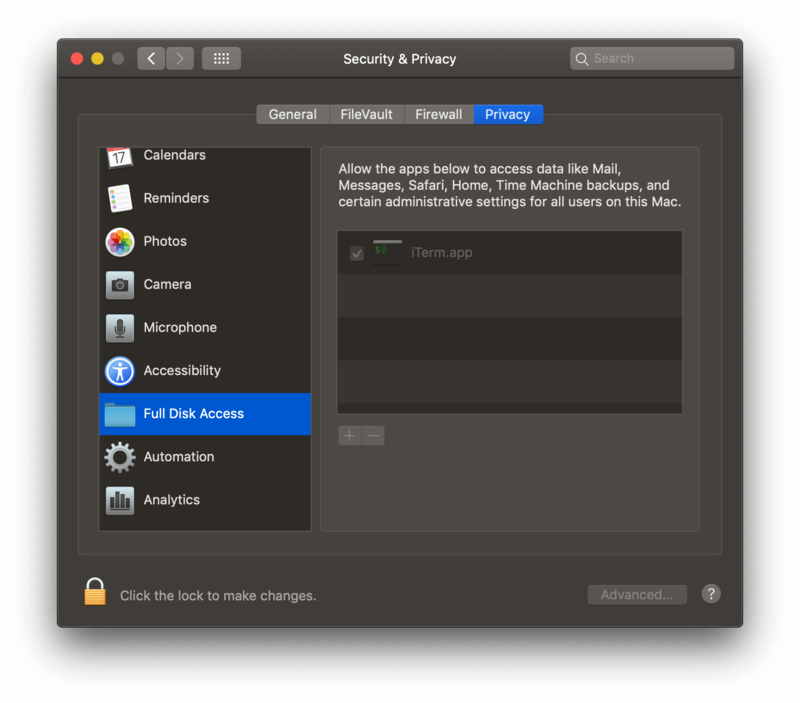 Add iTerm / Terminal to the allowed apps in Settings > Security & Privacy > Privacy > Full Disk Access.